There are several reasons that yoga has appealed to me. One is to increase my flexibiity and the second, perhaps more important, is to strengthen my respiratory system. I have a chronic lung disease that has hampered my life since childhood. Yoga helps my condition in several ways: it helps me to focus and deepen my breath, it helps to strengthening my posture so when I breathe I don't slouch over, and It helps to open up my chest cavity to inhale a full breath. Some chronic lung diseases might include severe asthma, emphysema, cystic fibrosis, obstructive pulmonary disease, bronchiectasis. These diseases come in all shapes and sizes with varying degrees of severity. But they all have one thing in common--lung function is compromised. Yoga helps exercise the lungs and, in some cases, yoga increases lung functioning. For me there is no greater nourishment for my body than Air. Every day we breathe around 20,000 times. Respiration is essential. The inhalation of oxygen (good air) and the exhalation of carbon dioxide (bad air) is vital for every cell in our bodies. These cells use oxygen to produce energy. Yoga helps us to oxygenate our lungs and to open up our chest cavity. It is a gentle form of exercise that most people can do. 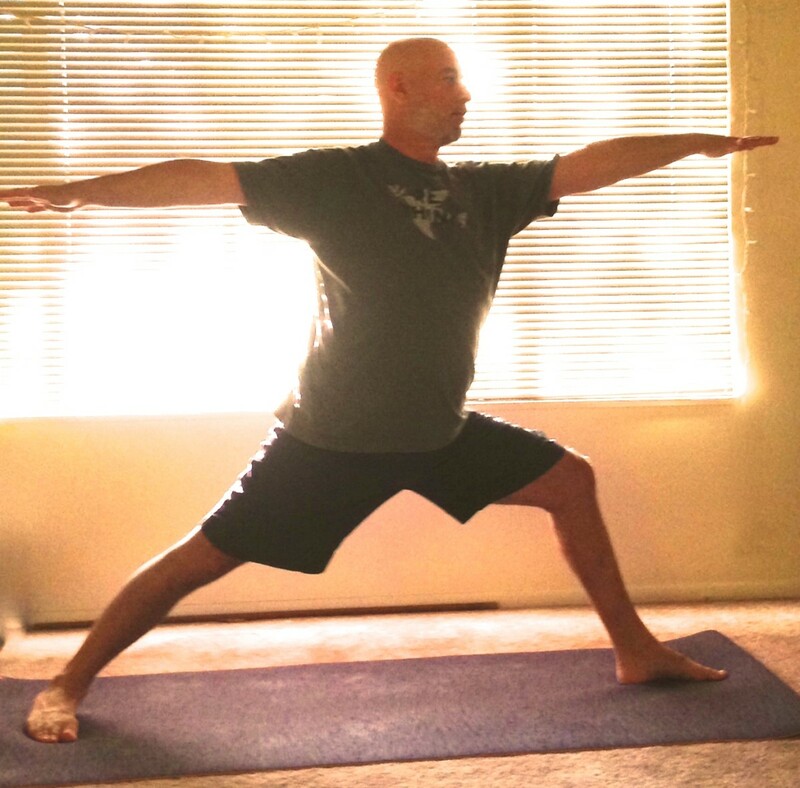 Just about all of the yoga poses would be beneficial with a person with lung disease. But I am aware that some of us our more compromised physically than others and it would be best to consult your physician before trying these poses as well as which poses not to do. lungs - including the bronchi (air passages), alveoli (air sacs), and the pleura (lung sacs). What's your favorite chest-opening pose? 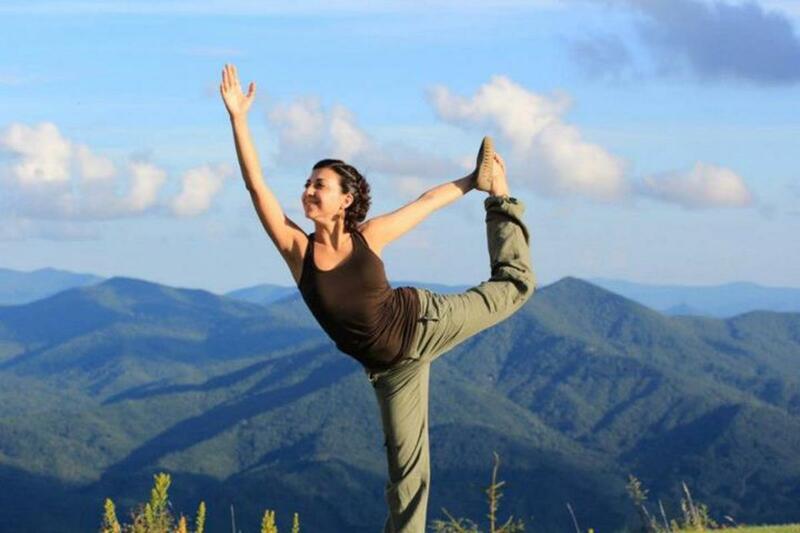 A simple yoga pose is the mountain pose. You stand straight with your feet firmly planted to the ground. Your leg muscles are engaged. Your chest is slightly arched, shoulders down, with your gaze looking forward. This is a good pose to feel grounded and to catch your breath or calm your breathing in yoga--especially after some demanding poses. 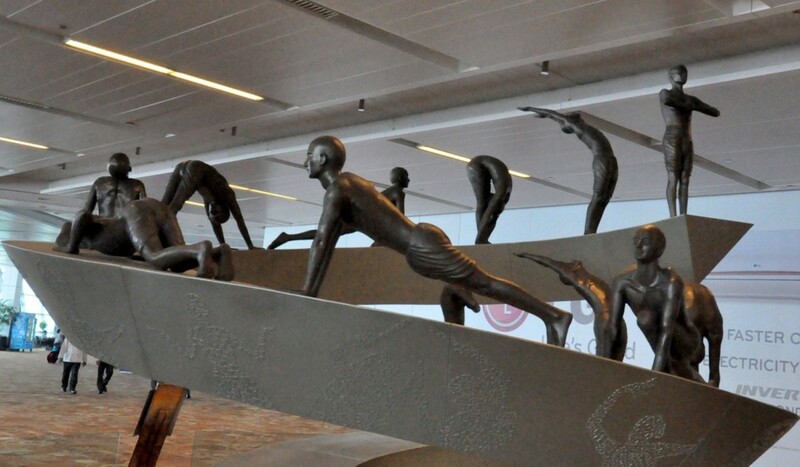 It is often referred to as a rest stop during yoga, much like child's pose or downward facing dog for some. 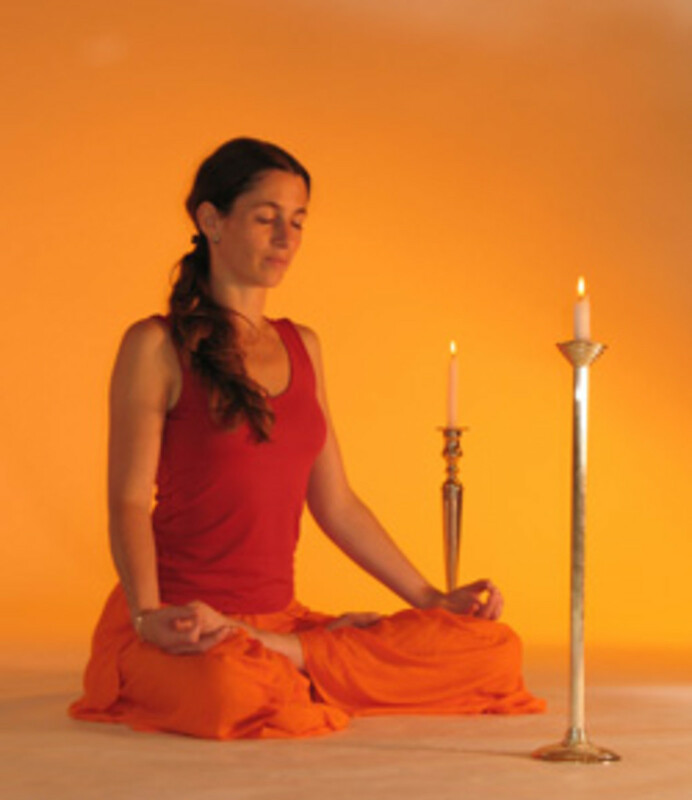 Also, starting ujjayi breathing in mountain pose helps you to relax and to calm down your respiration. In ujjayi breathing you close your mouth and breathe through your nose, inhaling and exhaling from the back of your throat, taking in air from the upper portion of your lungs. To open up the chest cavity further you could either do the mountain pose with your arms raised or with your hands clasped behind your back. Don't forget to breathe. Downward facing dog is sometimes referred to as the king of yoga poses. It works just about every muscle in your body, and when done right, it is a great chest opener. I like to move into downward facing dog from table top (on all fours). I like downward dog because it strengthens my back muscles to support good posture as well as opening up my chest cavity making it easier to breathe. It is also an inversion that helps to drain mucous from the lungs that is so important for people with chronic lung disease. Once in downward facing dog, lift your buttocks up, elongate the spine and straighten your legs as much as possible with your heels reaching for the ground. Let your head relax and hang and gaze toward your thighs. Relax chest toward your feet with your ears alongside upper arms. Remember to breathe. Ideally you want to have equal weight between your hands and feet in an inverted V.
Warrior II pose is a great pose that exercises the lungs, strengthens good posture, and helps in developing endurance. 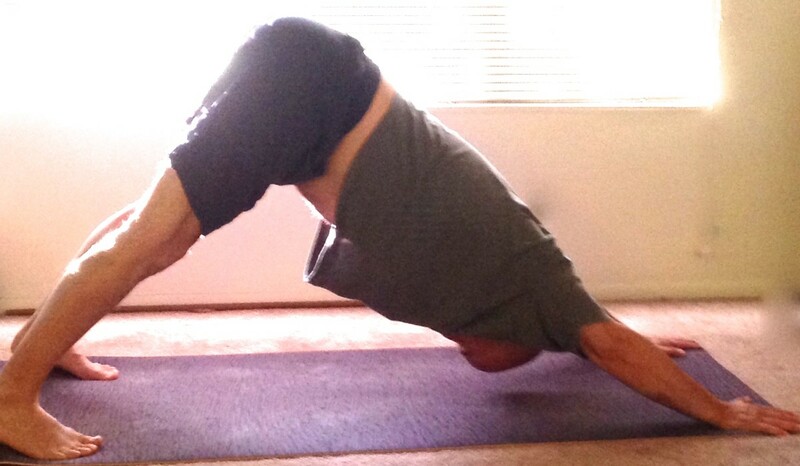 It is a pose that you can hold for 2-5 minutes so to get the full benefit. I like to get into warrior II from mountain pose. I take a giant step forward with my left foot. I bend my front leg so my shin is vertical. I pivot my back foot (right foot) to a 90 degree angle so the middle of my back foot is in line with my left heel. My hips are facing the right wall. My arms are extended wide, reaching in opposite directions through my fingertips. My shoulder drops down my back and my shoulder blades squeezed together to open up chest. My torso is balanced between my two legs with my tailbone dropping and my chest lifting upwards. I use my ujjayi breathing and my feet planted firmly to the floor to maintain this pose. 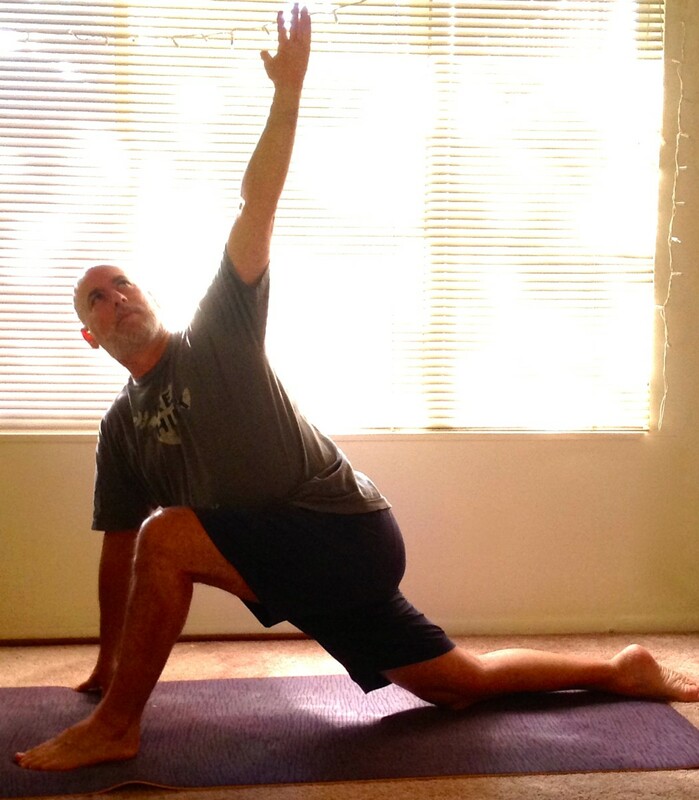 I can open up my chest in several different ways from a low lunge. I can put my hand on my knee and extend my spine and sternum upward. I can raise my arms over my head. I can put one arm on the floor and twist in the opposite direction, really opening up my chest cavity as well as creating a nice movement of the spine. I usually get into a low lunge from downward facing dog. I step my left foot between my hands and rest my right knee to the floor with the top of my right foot pressed to the floor. I then lift my torso up, pulling my navel in, and rest my hands to my knee. You can stay here and breathe or you can open up a little more with your hands above you head and your upper arms alongside your ears. Like I said, for more chest opening you can put your right hand to the floor and raise your left arm skywards. Of course repeat on the other side. Restorative yoga is a gentle form of yoga that uses props like blankets and bolsters that seeks to support the body and deepen yoga poses. It's a soothing and nurturing practice that many yogis engage in to offset or balance a more rigorous practice. You first roll up a yoga blanket or use a bolster for this if you have greater spinal flexibility--but for those of you like me who don't it's best to use a rolled-up blanket. Place the rolled up blanket on the mat horizontally and rest your back down on the blanket. You want your head to gently fall over the edge of blanket. Open your arms wide and allow your shoulders to fall down around the blanket. Take in a deep breath, and then breathe normally. 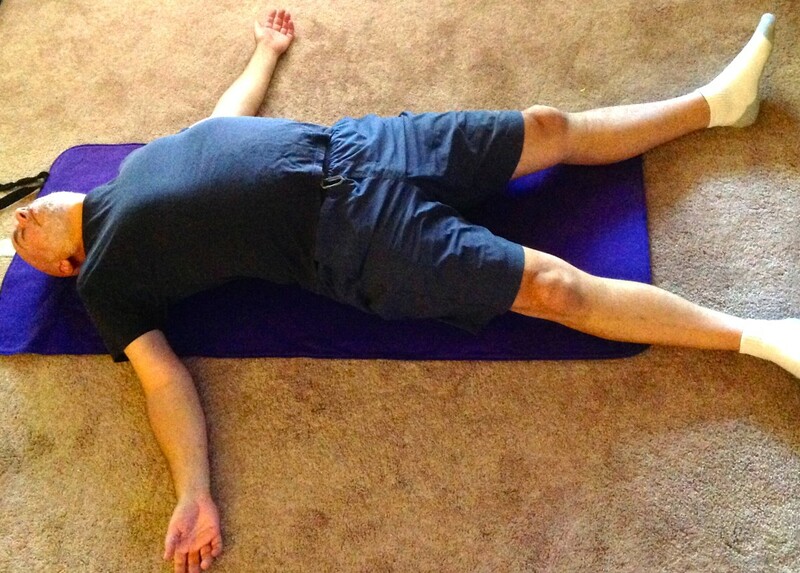 Roll off the blanket gently after you are finished with the pose. This is a great chest opener as well as a way to calm down the nervous system. Remember, engage in a pose only if it feels comfortable and if there is no pain. If there is pain, stop the pose or make a minor adjustment. 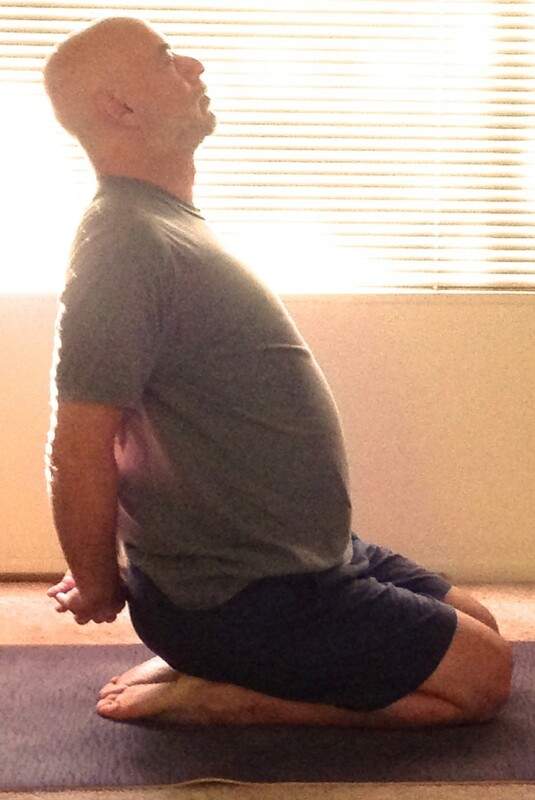 Adjustments in this restorative pose might be scooting down or up a bit. It's best to experiment to see what feels right for you. The goal is for you to open up your chest and to get deeper inhalations as well as longer exhalations. If anyone with chronic lung diseases are doing yoga, or if any yoga teachers are working with a client with a chronic lung disease, I would very much like to know how things are going? Do you find certain yoga poses more helpful than others? Which poses do you recommend staying away from? Your feedback is welcome. ok, will keep that in mind. thank you. These types of yoga exercise clothes are manufactured specifically for energetic pilates practices with exceptional range of motion, wetness handle materials and stylish into the ocean of spirituality along with steer oneself within an angelic quest along with Heart Journey. Thanks Made Pramana for your comment. And best of health. Hello! I just found this article from my online bronchiectasis support group. This article is good! As a bronchiectasis patient I like to do Yoga exercise. Yoga helps me to clear my mucus inside my lungs. It also makes my mind feel better. I'm doing Yoga exercise everyday in the morning in the field with other people too. Have a nice day. I love your hub, Mark! Yoga is such a powerful practice for maintaining organ and spinal health as well as increasing flexibility. Even a simple practice like these 5 postures you describe done on a regular basis, daily or three times a week, will really help people stay healthy and maintain independence as we age.